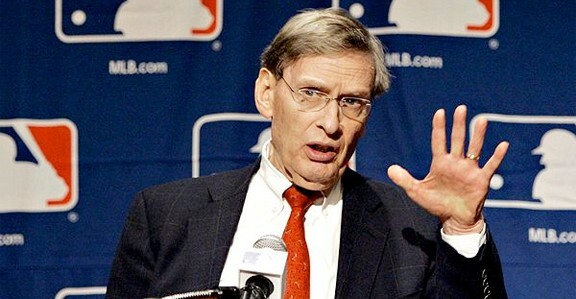 Measured only by the dollar, Selig’s tenure has been a success. However, by almost any other method, it has been a failure, for during his tenure whatever special place baseball still held in American society and culture has irreparably eroded. More than that however, baseball used to matter. Now, despite its financial health, the game is in many ways like an invalid living on an old fortune, wealthy but sequestered, important only to those who still need to keep the old boy alive to live off the crumbs that drop from his lap. …At the same time, under Selig, the credibility of the game has been shredded. Under his limited sense of leadership, the game chose not just to ignore PEDs, but to revel in their impact, to juice the game artificially after a period of labor strife. Did they plan this? No. Did they see it happen and get all goose-bumpy, and start drooling at the financial rewards? Absolutely. As long as the checks cleared it mattered not that a host of records essentially became meaningless, that history was devalued, or that fully two decades of seasonal results are suspect (including Boston’s long awaited world championships in 2004 and 2007). All in the name of short-term gain, baseball under Selig chose to insult the intelligence of several generations of fans in favor of those who came to the game, not as fans, but as corporate guests. Baseball has always been a business, but for years its success depended, at least in part, on the ease with which it was easy to forget that. All pretense of that is gone now. Baseball is only business, and business is the only measure that matters. Witness the changes to the All-Star game, the playoffs, the escalating cost of watching the game, in person, on TV, or the Internet. If there is a National Pastime anymore, it is the ATM. And let’s not forget drug testing.